Today Microsoft unveiled some exciting additions to the Surface product line which take advantage of the power and performance enabled by Intel® Core™ processor technology, as well as a peek at updates coming to Windows 10 next spring that we think will open up even more amazing experiences for Intel Core powered PCs. 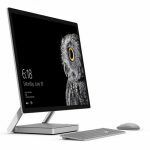 The new, much anticipated Surface Studio is a beautiful new take on the All-in-One concept with the creative and designer community in mind. The first thing people will notice of course is the 28-inch 4.5K ultra HD display that is a mere 12.5mm thin. Intel worked closely with Microsoft to optimize quad-core Intel Core processors to deliver the incredible performance to run professional programs the creative community needs. 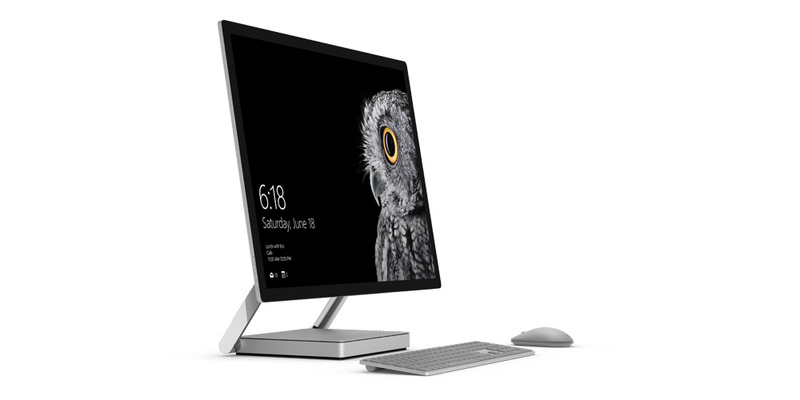 Thanks to the collaboration to fit the processing power into the sleek base of the Surface Studio, it enabled an incredibly thin and vibrant screen that can easily transition from a workstation to a digital canvas. Microsoft also announced an update to the popular Surface Book, dubbed the Surface Book i7, which continues to take advantage of an Intel Core i7 processor to pack top line performance into an already amazing package. Intel is proud to have worked so closely with Microsoft to bring these Surface devices to life and to help ensure Windows 10 is the best possible compute experience available now and in the future. We’re excited for people to experience what these Intel Core-powered Surface devices have to offer and for what is yet to come!